Join IxDA Seattle as Artefact hosts us on Thursday, August 9th for a Community Salon followed by an engaging dialogue with Interaction Design pioneer Brenda Laurel. To kick the evening off, Artefact will host a Community Salon. Interaction 19 is coming to Seattle next February, and the conference organizers and IxDA Seattle are seeking input from the Seattle Interaction Design Community. Only 24 tickets are available to participate in the Salon. If you participate in the salon, you also have a ticket to attend the Brenda Laurel interview later in the evening. 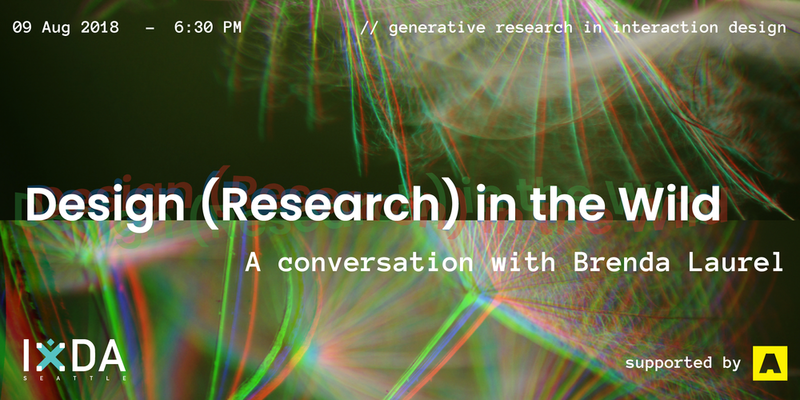 After the Salon, Brenda Laurel, one of the founders of the Interaction Design discipline, will join local UX educator and entrepreneur Bram Wessel, for an engaging interview about the role of generative design research in interaction design.